WORCESTER, Mass. -- The body of a small boy apparently cast off the side of a highway has been confirmed as a missing 5-year-old, authorities said Saturday. The body found Friday off Interstate 190 has been positively identified as Jeremiah Oliver, Worcester County District Attorney Joseph D. Early Jr. said. No charges were immediately announced related to Jeremiah's death. He was last seen by relatives in September but wasn't reported missing until December. 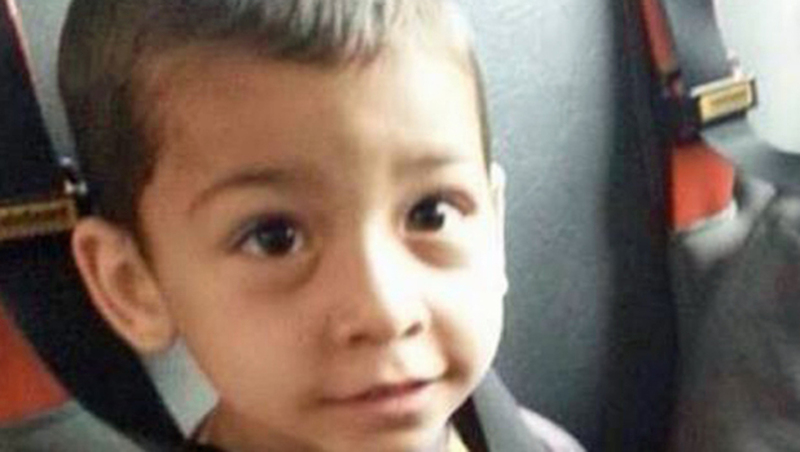 Authorities had said they feared the Fitchburg boy was dead. Early said in a statement Saturday that the autopsy report is not complete. The investigation is continuing, he said. "It appears to be a homicide," the prosecutor said at a news conference Friday. Early said the body was found at about 9 a.m. Friday by a police search team about 40 feet off I-190 near Sterling, which is about 12 miles from Fitchburg. He said it was wrapped in blanket-like material and packed in material that resembled a suitcase. He would not say what led authorities to the location or how long the body may have been there. He said the site is near an area that is regularly mowed on the side of the highway but would not have been visible to passing cars. Jeremiah's mother, Elsa Oliver, 28, pleaded not guilty in March to charges including kidnapping, assault and battery with a dangerous weapon, and reckless endangerment. Her boyfriend, Alberto Sierra, 23, pleaded not guilty to similar charges. The family was being monitored by state social workers since 2011. And after Jeremiah's disappearance, their case led to intense scrutiny of the state Department of Children and Families. Three employees of the agency - a social worker, a supervisor and an area manager - were fired after an internal investigation. Officials said the social worker had not made required monthly visits to the family. The governor asked the Child Welfare League of America to review DCF but resisted calls from some lawmakers to fire Olga Roche, the agency's commissioner. In an initial report filed by the league last month, it recommended that Massachusetts take a number of steps to shore up its child welfare system, including boosting staffing levels to reduce social worker caseload. A separate report from the state's Child Advocate, Gail Garinger, suggested that state social workers missed nearly one in five home visits during a recent 12-month period, though state officials said the figure was likely overstated. Roche assured state legislators in January that DCF had accounted for the safety of all other young children in its care. Oliver and Sierra, who were indicted by a Worcester County grand jury, are both being held on bail - $100,000 for Oliver and $250,000 for Sierra. Three other people have been charged with interfering with a criminal investigation and misleading police in connection with the case.